Preheat oven to 450° F. Brown ground beef in skillet; drain. Add taco seasoning, following package instructions. 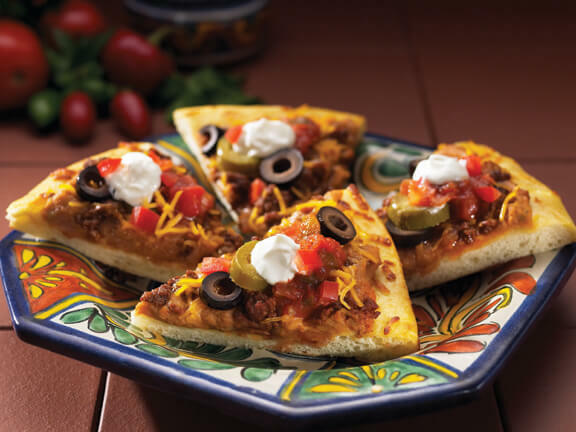 Add refried beans to pizza crust; add the ground beef, cheese and some olives. Bake for 10 – 12 minutes. While baking, chop tomatoes and the rest of olives. When pizza is done, add tomatoes and olives. Slice and serve as wedges. Top each wedge with sour cream and salsa as desired.